Are you in the mood for a fun-fold? 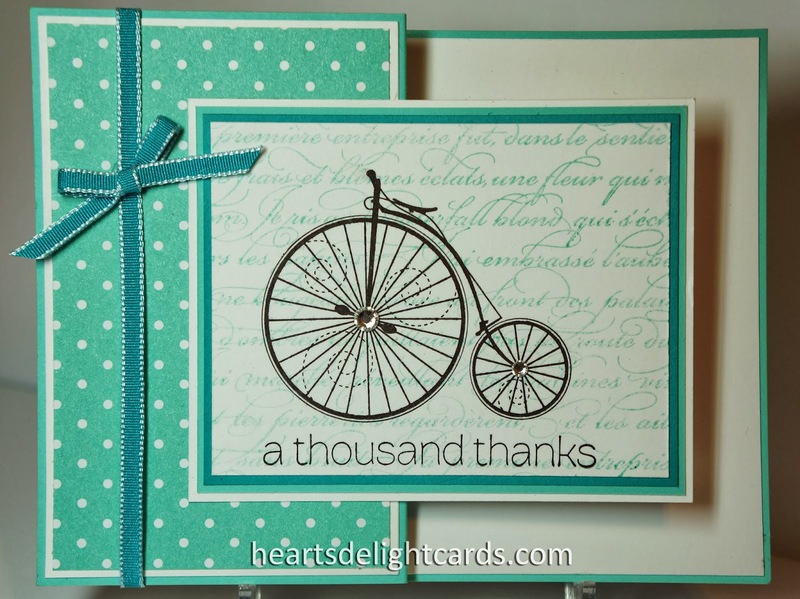 This is a quick, easy and MAILABLE card that is sure to bring a smile to the recipient! You can use a light-colored designer paper for the image background, or do what I did and use a background stamp (stamped off once to make it lighter). 4 ¼" x 11", and scored at 2 ¾" and 5 ½". Fold into the Z shape and add a matted image panel, whatever size suits you (and the image). Voila...a fun, quick card to knock someone's socks off! Have you signed up for my mailing list yet? If not, you've missed weeks 1 and 2, but you can still get the last 10 weeks! Just click on the form on the upper left sidebar.